Home Crossfit and Gym Clothes Sports shoes What are zero drop running shoes? Zero drop running shoes are becoming all the rage and are getting plenty of attention online. A lot of people are still a bit unclear as to what zero drop running shoes are and what their advantages and disadvantages are. I therefore wanted to put up a piece which could help answer a few common questions. 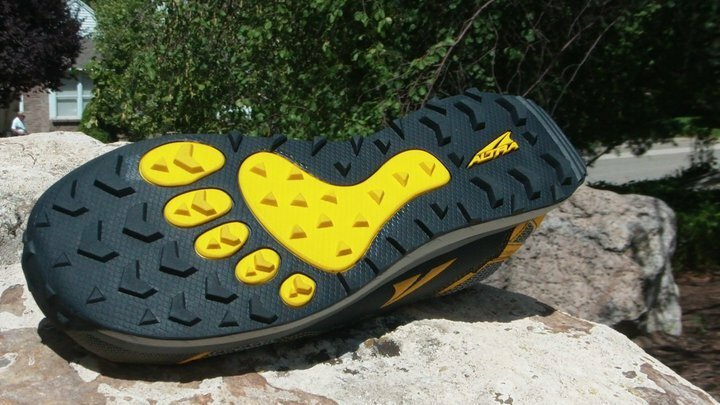 The term ‘zero drop’ was coined by Altra, who make a successful and popular range of barefoot style running shoes. The basic premise is to replicate barefoot running, and the zero drop relates to the difference in height between your toe and your heel. On a typical, over bulked running shoe, this difference can be as pronounced as 1.5 cm (15mm). As the name would suggest, on a zero drop running shoe the difference in height is zero, or at least as near as dammit. This may sound a bit inconsequential, but the difference can be quite startling, especially if you’re used to running longer distances in traditional running shoes. I have found that zero drop running shoes enable me to run further in significantly reduced discomfort. The downside to zero drops has traditionally been a lot of noise, especially on a treadmill. Indeed, this is often so distinct that if you happen to be next to somebody in the gym who is making a god almighty racket on the treadmill, they’re probably wearing zero drops. Besides the zero drop, the other design feature of note is the really wide toe region on zero drop shoes. Typically running shoes are widest around the toe joints and then narrow in a steep taper. Zero drops don’t do this – instead they offer a wide toe region to allow your toes to spread more naturally as you run. This is easier on your feet and is designed to be far more natural, even if it does leave the shoes looking slightly rectangular and therefore not quite so striking from the design perspective. The really major benefit of zero drop running shoes is their ability to help runners to avoid heel striking. Heel striking is when your heel hits the ground before your toes, and this has been proven to cause long term damage to your joints. Landing on the less cushioned heel, as opposed to the ball of your foot as is proper form, causes a significant ‘jolt’ through your body. This can lead to an increased likelihood of injury, especially to the outside of your knee. Zero drop shoes, by encouraging your toes to widen at the point of impact, provide you with a much larger surface area on which to land when you run. When you combine this with the zero height difference between heel and toe, then you find that you naturally hit the ground better. This anatomical advantage causes less damage to your body whilst helping you to run faster. In order to create a shoe with zero height difference, cushioning needs to be sacrificed. The more advanced shoes in this space are working to correct this by using new materials. Newer materials may bring advantages such as tougher cushioning which takes up less space than the more traditional cushioning components. This can be combatted with a narrower heel and mid-foot, which has the effect of making the shoe fit more like a glove. This has the additional advantage of avoiding heel slippage mid run, which can be a problem with running shoes of all kinds. The new Altra Intuition 1.5 running shoes, reviewed here are a good example of this in action. Should I compete in zero drop running shoes? A common question that runners ask themselves is if they should aim to compete in flat profile shoes if they have been running for years in a shoe with a more traditional profile. The answer to this question is quite personalised to the runner. Every runner is different, with unique goals, fitness levels, running habits, techniques and styles. For many though, there is a happy medium. Lowering your heel drop from say 12mm to somewhere nearer 4-5mm will provide benefits like reduced torque and lower impact forces with better stability. Should I jump straight into Zero drop running shoes? This is a clearer cut question: No you shouldn’t. If you have been training for years in traditional shoes, then your body has grown accustomed to this. Your body is used to the specific forces that come from the angles in your traditional running shoes. Jumping stratight to zero drops may create run limiting sourness and even injury. The best solution is to work towards lowering your drop through a succession of shoes. Working first towards a 4mm drop, such as the Brookes Pure Flow or Kinvara’s is a great first base. For many this first base will also be athe end point, because they will reap most of the benefits whilst keeping the additional cushioning with delivers comfort. Other runners will want to work down towards a zero drop, perhaps by purchasing a pair of Altra Intuitions.